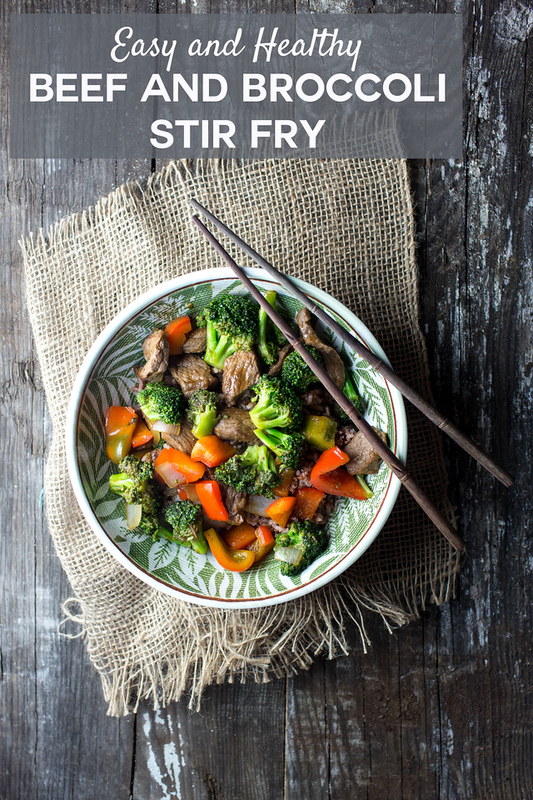 Loaded with good for your veggies like broccoli and red bell peppers and a simple stir fry sauce, this Beef and Broccoli Stir Fry can on the table in minutes! Post may contain affiliate links., full disclosure on side bar. 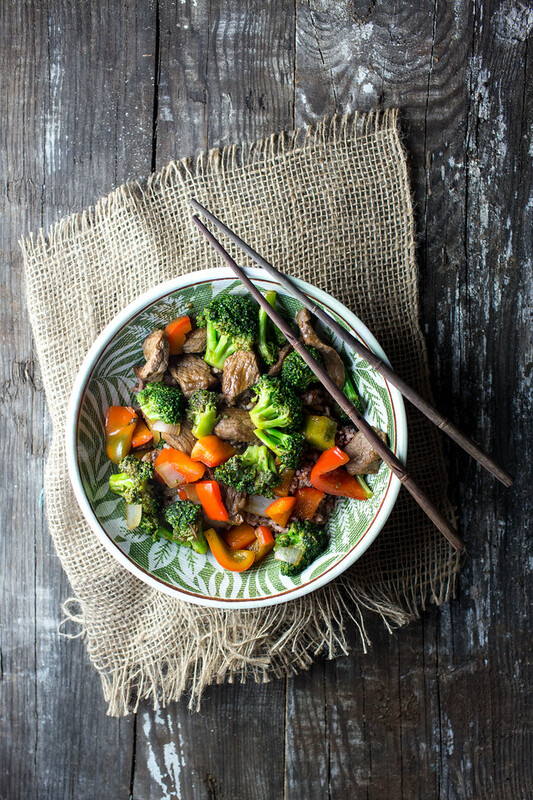 Click here to pin this Beef and Broccoli Stir Fry now! Stir Fries are Great for Using Up Vegetables! With my CSA in full swing, I am often looking for recipes to use as many vegetables as possible. I find myself typing in things like: sweet potatoes, swiss chard, red bell peppers in Eat Your Books. After typing in all sorts of combinations, a light bulb went off. Why not just make a stir fry using some of them up? It’s quick and easy once you get past the preparation phase. Beef and broccoli is a pretty classic stir fry. All I needed to do was add a few more veggies to it, start some rice in the Rice Cooker and make up a simple stir fry sauce. Note – yes, I use a fairly expensive rice cooker. I bought it in 1994 when we adopted our daughters, and it’s still going strong! For this stir fry, I needed to use up some red bell pepper and broccoli, in Easy Beef and Broccoli Stir Fry – I needed to use up broccoli and snow peas. In Spicy Shrimp and Brussels Sprouts, I was able to use up some Brussels Sprouts! Oyster sauce is a classic for Beef and Broccoli, but I didn’t have any! So, I used Hoisin Sauce instead. Hoisin sauce is so flavorful, it almost makes it own sauce, but I added a few more simple pantry and fridge ingredients to boost it a bit. Fresh grated ginger is one of my favorite things to add to any stir fry sauce. I keep ginger in the freezer and using a microplane, I just grate it frozen, so easy! I’m giving measurements for the veggies in this stir fry, but it’s pretty adaptable. 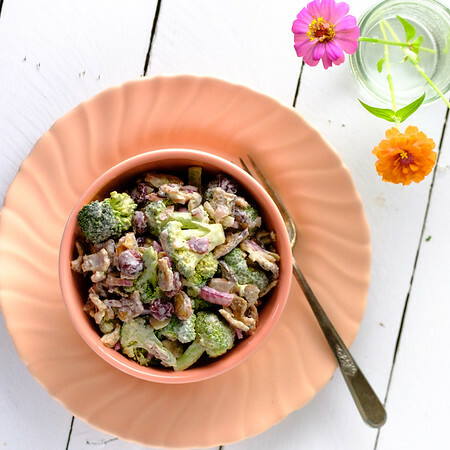 Broccoli Salad with Bacon and Cranberries – so delicious! 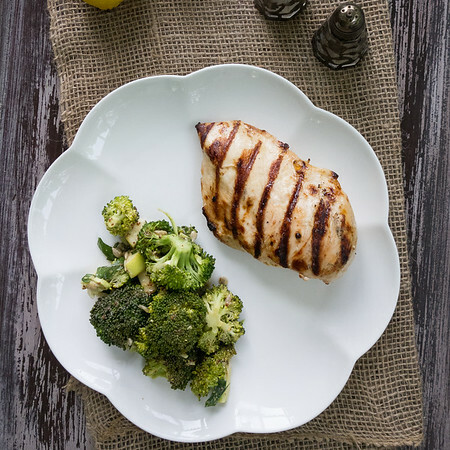 Everyone loves this easy Honey Mustard Broccoli Salad! This Beef and Broccoli Stir Fry is so easy and delicious! Heat 1 tablespoon of oil in wok over high heat. Add beef and stir fry, leaving it a little pink. Remove and place in bowl. Add more oil to wok and add broccoli, stir fry for about 2-3 minutes or until starting to brown in places. Add onions, garlic, and red bell pepper. Stir fry for about 2 more minutes or until onions are tender. Add beef back to wok. If wok is smoking, you might need to turn heat down to medium high. Add sauce ingredients and stir until everything is coated. I made this last night, and it was delicious and beautiful! I wish I had used your brand of Hoisin Sauce, because mine was a bit too sweet…I am appreciating your recipes. Thank you! I adore broccoli. This is a great idea for my lunch. Love the unique flavors in this recipe! YUM! I’m sure this is incredibly delicious! I have a ton of leftover veggies in my fridge right now and you have inspired me to use ’em up in a stir fry! This looks delicious BTW! Right! It’s the best way to use up veggies! This stir fry looks so lovely. Great flavours in the sauce, too! Stir fries are always great for the quick win and of course using up bits of leftover vegetables. Beef and broccoli is such a classic, and that sauce sounds wonderful! The sauce is so good! I love stir fry for busy weeknights! And I love that added sriracha in the sauce for some heat – yum! We love a good stir fry and your recipe looks awesome! I really appreciate you sharing with us at Full Plate Thursday and hope you are having a safe and enjoyable weekend. We love Beef and Broccoli Stir fry here but I substitute carrot for the peppers. A nice quick mid-week meal. I love stir-fry dishes and make them several times during the week. This sounds absolutely yummy, will make it tonight! I just love the simplicity of this dish . Right up my alley. YUM! Um…. Yum! This looks awesome. I love stir fry! I love beef and broccoli stir fry with plain rice! It’s the perfect combination!! Stir fry is definitely a go-to dish in our household and we are made keen on broccoli and broccolini. My go-to for beef stir fries is broccoli, onion, carrot and garlic, along with fresh garlic. I use beef base and soy sauce as the base for the sauce, and go from there. It’s a great dinner, especially since you can just go with whatever you have, no recipe required! Yours looks really terrific! I just love a stir-fry and the cobination of beef and broccoli is always a winner for me. What a delicious looking stir fry. I love easy meals like this on busy school nights. This looks so good. Thanks for the recipe.